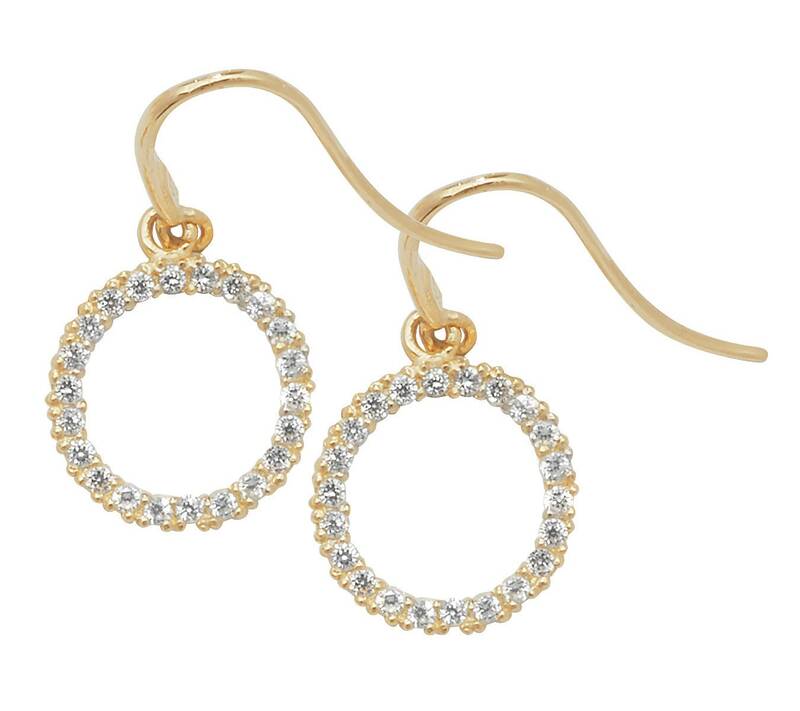 A sparkly pair of gold circle of life drop earrings set with round cut cubic zirconia stones. 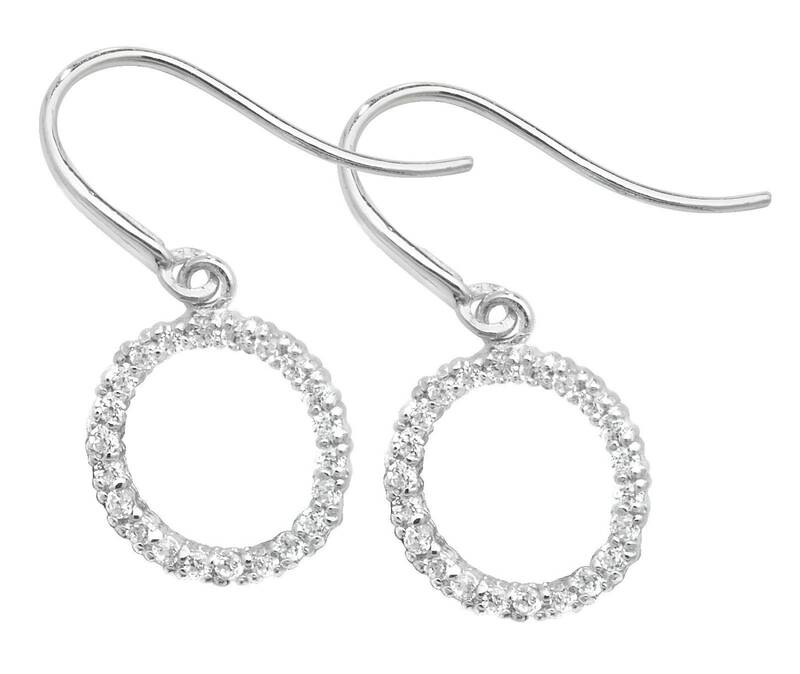 Crafted in 9 carat gold with slide through fish hook fastenings. Size approx 15x8mm.